We head back to Rotterdam for the second night of the Dutch double-header. Sadly the first night was a low standard affair with the poorest overall average yet. Hopefully, there will be some improvement tonight. Raymond van Barneveld was eliminated on Wednesday night leaving just eight players chasing the play-off places. With just four points separating them it promises to be an exciting run-in. Games like tonight’s opener between Daryl Gurney and Mensur Suljovic could prove crucial. James Wade v Michael Smith and Peter Wright v Gerwyn Price are also important battles. Wade and Wright can gain crucial victories, and Gurney may be capable of surprising Suljovic. 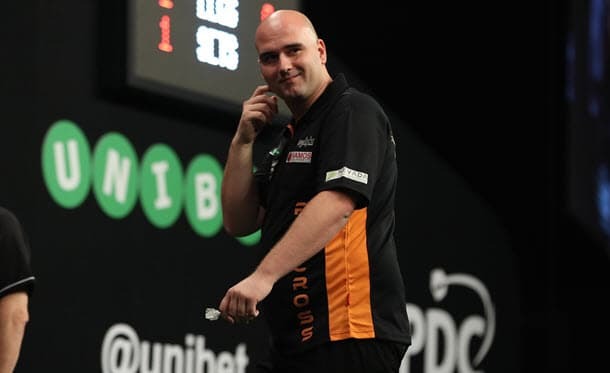 RVB will finish off his Premier League career against fellow Dutchman MVG. There won’t be a dry eye in the house for this one. Gurney looked in trouble a few weeks ago after 1-7 and 0-7 hidings against Rob Cross and James Wade. He scraped an undeserved draw with Peter Wright in Nottingham (Week Six) but has seemingly used that as a springboard. A surprise win over Michael van Gerwen followed, and he landed the odds against the hapless van Barneveld last night. A sub-90 average shows it wasn’t a great performance, but a win is always welcome. Suljovic is always difficult to predict. A few weeks ago he looked barely interested in the event, yet since then has reeled off a trio of wins over James Wade, Michael Smith and Rob Cross. The win over Voltage was special, coming back from 5-1 down to win 7-5. This one could go either way, but marginal preference at the prices is for Superchin. Price had an excellent start to the year, both in the Premier League and in the weekly tour events. Recent form is worrying though, and he comes here after three successive defeats. Snakebite put in a shocker against Michael van Gerwyn last night, narrowly avoiding the humiliation of a whitewash. A sub-90 average was particularly disappointing, especially after some improvement in form recently. Neither player is trustworthy, but Wright is fundamentally the better of the two. He is taken to get a crucial win on the board. Cross has had a fine campaign so far and sits in the second place on the leader-board. It could have even better but for a strange collapse against Mensur Suljovic in Rotterdam. After cruising into a 5-1 lead he somehow managed to lose 5-7. Tonight represents a good chance to bounce back. Jeffrey de Zwaan is the last substitute to replace the injured Gary Anderson. He has one stand-out performance to his name, reaching the semi-finals of the 2018 Matchplay beating Michael van Gerwyn in the first round. He hasn’t been able to build on that since. He looks over-matched against a player of the calibre of Cross. Unfortunately, the bookmakers agree and Cross is a prohibitive price. One to watch. 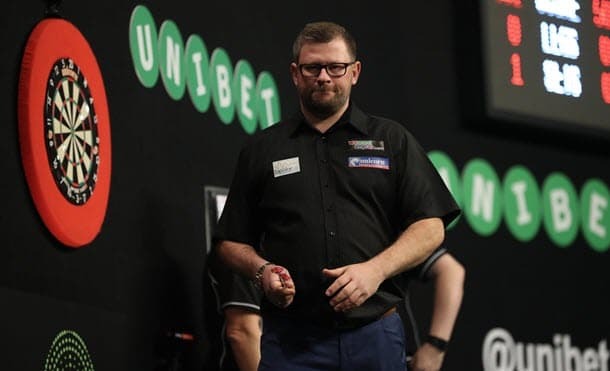 Sadly Barney has been abject throughout the competition and was officially eliminated last night after defeat to Daryl Gurney. It was another poor showing with a low average. With just one victory, against the overawed Max Hopp, Barney can have no complaints. An easy victory over Peter Wright saw MVG move back to the top of the league. This is the position he considers his own and he will want to stay there. So Barney can expect no sympathy from his compatriot tonight on his Premier League farewell. He has occasionally sprung surprise wins against MVG, but realistically it’s not going to happen tonight. One to watch and shed a tear. And remember what Barney was once capable of. We’ll always have that final leg decider against Phil Taylor to look back on. The Machine continues to motor along, though he has drawn his last two matches after we tipped him for victory. An average of 103 against substitute Dmitri Van den Bergh was the highest in Rotterdam last night so his game seems in good health. Bully Boy got a much-needed victory against Gerwyn Price, although big question marks remain about his overall form. Wade is given one last chance to get back to winning ways.